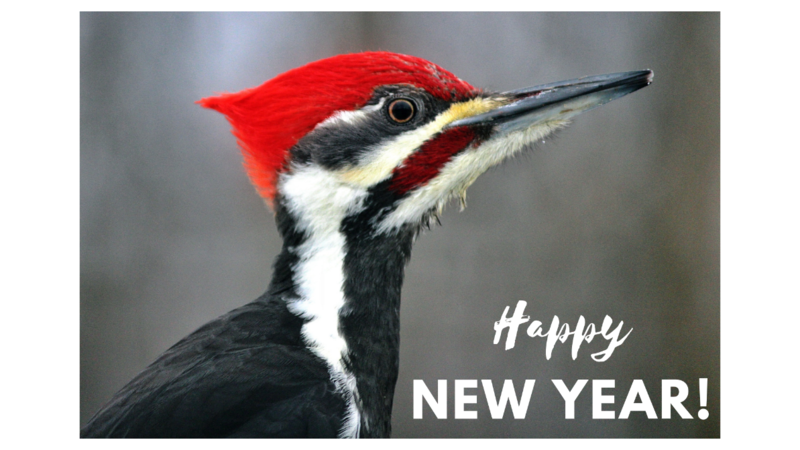 Happy New Year from your friends at Seattle Audubon! We’re the oldest conservation organization in Washington State and one of the largest, most active Audubon chapters in the country. We lead a community of over 4,000 members in appreciating, understanding and protecting birds and their habitats. Here are five things you can do to make Seattle a better place for birds in 2019. She’s also an amazing predator. 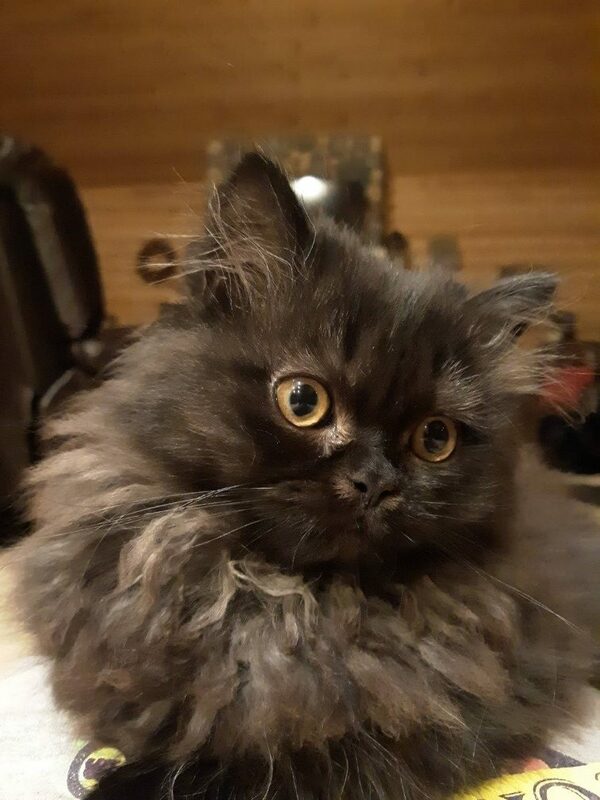 She looks soft, but I can confirm that there are a lot of sharp points hidden under all that fur. Cats are such effective hunters that they top the charts when it comes to contributing to the decline of earth’s biodiversity. They’ve been linked to the extinction of 40 bird species, 21 mammal species, and 2 reptile species. A 2013 study estimated that domestic cats kill around 2.4 billion birds annually in the U.S. alone. According to my calculations, that means that Taz could be taking out around 17 birds per year. But she doesn’t, because she can’t. Taz is an indoor cat. Keeping your cat indoors in one of the simplest and most important things a cat guardian can do to protect Seattle’s birds and wildlife. And it’s as good for the cat as it is for the birds. Indoor cats require fewer visits to the vet; they are less likely to contract or spread rabies, toxoplasmosis and fleas. Indoor cats face no threats from traffic, opossums, raccoons or coyotes. All this adds up to more quality time with your fluff-ball: outdoor cats live an average of 1-5 years. Indoor cats live between 12-20 years. If you’d still like to get your cat outside, consider a catio. Catios are outdoor enclosures that provide cats with stimulation while keeping them and wildlife safe. You’ll have a chance to scope out your neighbors’ catios this July on the 2019 Catio Tour. You can also get some pointers from Seattle’s own catio guru, Cynthia Chomos. Cynthia is the founder of Catio Spaces. 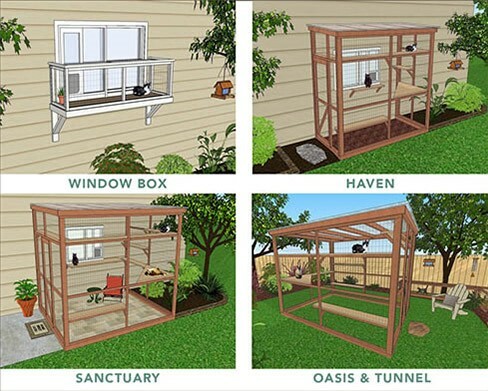 Her website contains a wealth of information and DIY plans for building your own catio. Note: We often hear, “My cat doesn’t kill birds.” The truth is we have little idea of what our cats do or where they go when we let them roam. The only way to be certain your cat isn’t killing birds is to keep them inside. I found a robin with a broken neck back in October. It lay prone on the Stewart Street sidewalk, unable to move. I moved it out of the way of foot traffic. All it could muster was a few sad “cheeps.” I suspect it was a victim of another urban bird hazard: Windows. You’ve probably experienced it too: a robin or sparrow hits the kitchen window with a thud and suddenly it’s time for an impromptu bird funeral. Sadly, this is a common occurrence. Each year in the U.S., approximately 1 billion birds die by colliding with windows. This makes windows the second most dangerous human-related hazard that directly kills birds. 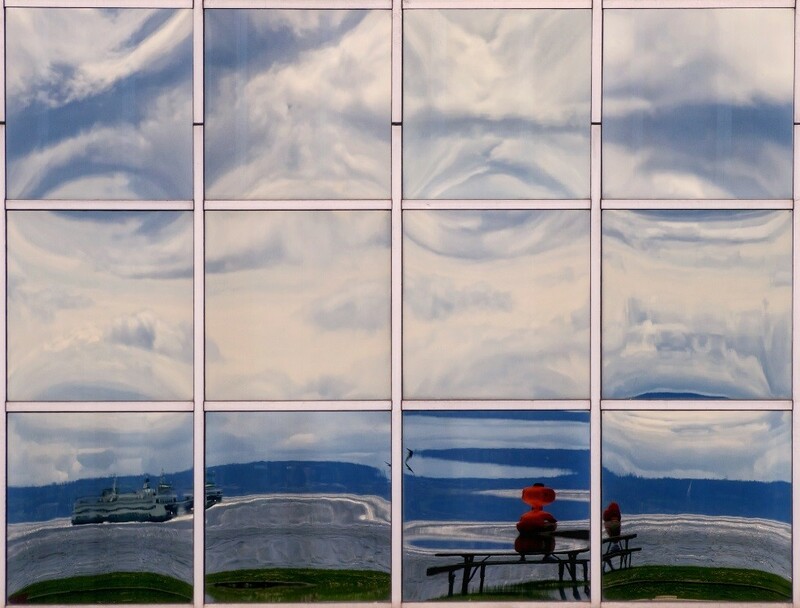 Reflections of trees and sky in glass appear to birds as an extension of the environment and birds will often fly into them at full speed. Seattle Audubon and other Seattle Urban Bird Treaty City partners are concerned about bird collisions, but to date we have no locally specific data quantifying the scale of the problem. I worry it is large; there are millions of windows, after all. Thankfully, there are simple, cheap and effective ways to add “visual noise” to your windows to protect birds. Some products are specifically designed for this, such as American Bird Conservancy’s BirdTape, for instance. Or you can do it yourself with materials you may have on hand. Just make sure to follow some key rules. Note: Hawk silhouettes, single window decals, plastic owls, noise deterrents and magnetic fields are ineffective at preventing bird collisions. Seattle is one of the rattiest cities in the U.S. This comports with my personal experience; I see them nightly, cavorting gleefully around the dumpsters by my apartment. I support efforts to control their populations, but the widespread use of anticoagulant rodenticides is problematic. These poisons are easily available online, and ingestion causes internal bleeding until loss of consciousness and death. It can take several days for a poisoned rodent to die. Meanwhile, the sickened rodent makes an easy meal. 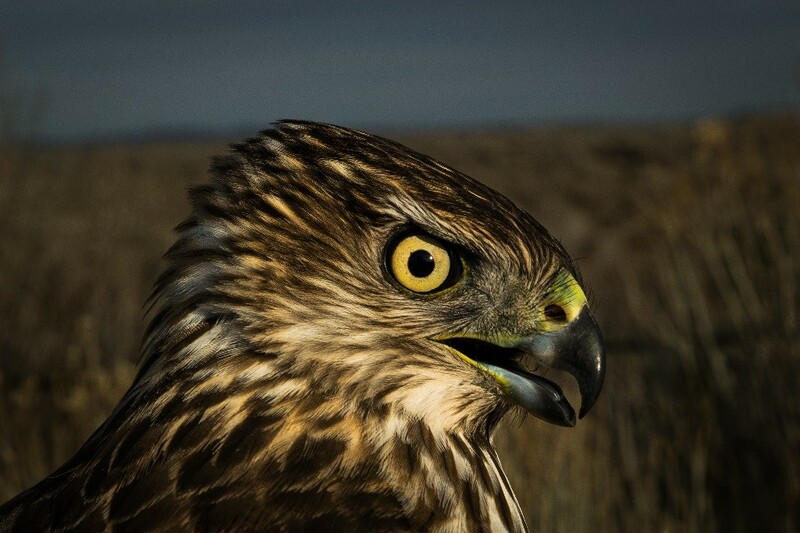 Raptors that consume too many poisoned rodents may themselves become poisoned and die. This kind of secondary wildlife poisoning in raptors seems to be common in North America, but no studies have been done in the Puget Sound area. Our friends at the Urban Raptor Conservancy are working to fill that knowledge gap by sampling dead raptor liver tissue for these poisons. This data will be critical for understanding the scale of the problem in our region and for effective advocacy against anticoagulant rodenticide use. You can support this important research here. Prevention is the most wildlife friendly form of rodent control: seal all gaps leading into your home, don’t keep pet food outside and rat-proof your trash and compost bins. Some cities have used dry ice to suffocate rodents in their burrows. New York City and Chicago are testing contraceptive compounds that render rodents infertile. And, so long as our rodents aren’t poisoned, urban raptors can be part of the solution. When it comes to plants, go native! Birds and bugs have evolved special relationships with our native plants, and rely on them for food, shelter and breeding. Historically, the Seattle area was part of a vast forest largely composed of conifers. Most of that forest is gone, felled and shipped to San Francisco or incorporated into the walls and floors of early Seattle homes and buildings. As those structures are removed to make way for new development, we are truly and finally losing the ancient forest that was once here. * Today, approximately 72% of Seattle’s tree canopy is deciduous, and often non-native and ornamental (think Kousa dogwood, hawthorn, or Japanese maple). While ornamentals are pretty, they are typically not as good as our natives at slowing stormwater, sequestering carbon or providing suitable habitat for local bugs. And it really is all about the bugs here. Almost all terrestrial birds feed their hatchlings insects. Many insects have evolved to eat only one, or just a few types of native plant. To cite a well-known example, larval monarch butterflies feed exclusively on milkweed. Other insects have similarly strict requirements that are often not met by non-native vegetation. Native plants support good bugs which support birds. If you have a garden, strive for 70% natives. Create layers and complexity with trees, shrubs, and ground covers. Incorporate snags and fallen logs if you’re able. Be messy. Don’t rake your fallen leaves or clear the duff from your garden. Bugs and birds love it! Keep your spiders. 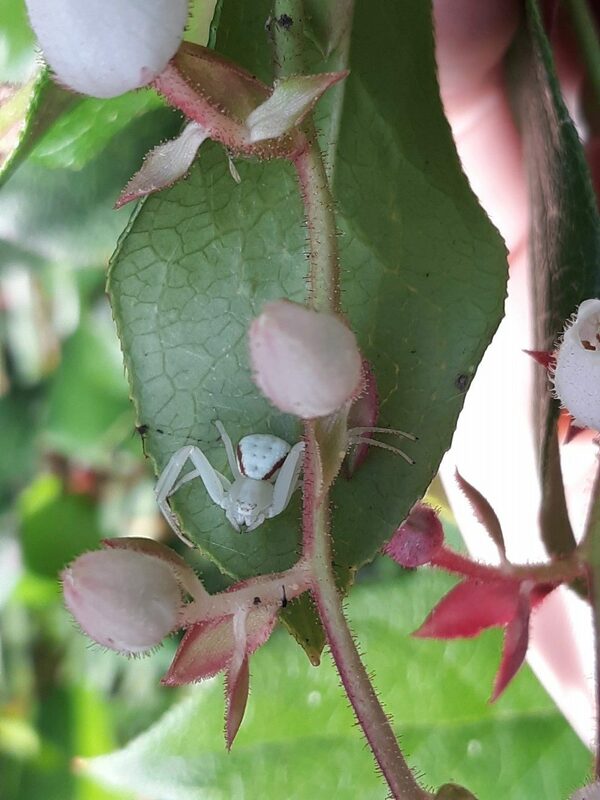 Hummingbirds and bushtits use spider silk to construct nests. If you have a porch or a patio, create little pocket habitats in planters and pots. If you have no outside space whatsoever, put your favorite native on your windowsill and enjoy watching it grow. Humans benefit from greenery as much as birds do! There are many great nurseries in King County, many of which specialize in natives. Seattle Audubon hosts two native plant sales per year, each spring and fall. We will update our calendar once we’ve got the 2019 dates pinned down. Note: Gary Snyder wrote poignantly about this in his collection of essays The Practice of the Wild. The conservation community in Seattle is extremely active, and we need all the hands, hearts and minds we can get to advance our missions. If you like to get dirty, volunteer at one of the Green Seattle Partnership’s many events where all are welcome to take part in forest restoration activities, and no experiences is needed! 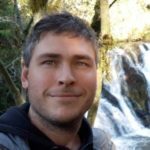 If you’re interested in leading nature tours through Seattle Parks, become a Seattle Urban Nature Guide. Love the trees in your neighborhood? Become a Tree Ambassador. Want to count birds? Participate in Seattle Audubon’s community science projects. There are numerous other organizations doing great work that benefits birds. I encourage you to find one that aligns with your interests, values and availability, and get involved! Want to learn more about conservation and science at Seattle Audubon? Come to our Program Meeting on January 17th! We’ll be meeting from 7:00 to 8:00 PM at the Swedish Club to talk about the people power and techniques required to collect the data we need to protect the species and places we love. Registration is free! Great article Josh! Please let your readership know how they can sign up for a bird-walk tour with you.